Figuring out the perfect Valentine’s day gift idea for your significant other can be tough, what does Chaz even like other than football and beer?! Don’t worry my friend, we put this post together to get you started on the path to finding the perfect Valentine’s day gift for your significant other. February 14th is the one day a year when people are forced to exchange cards, candy or flowers with their spouse or partner, in order to express their love and affection. Whether you have been together for a couple months, or many years, the gift ideas may not come as easy to you as the years pass. 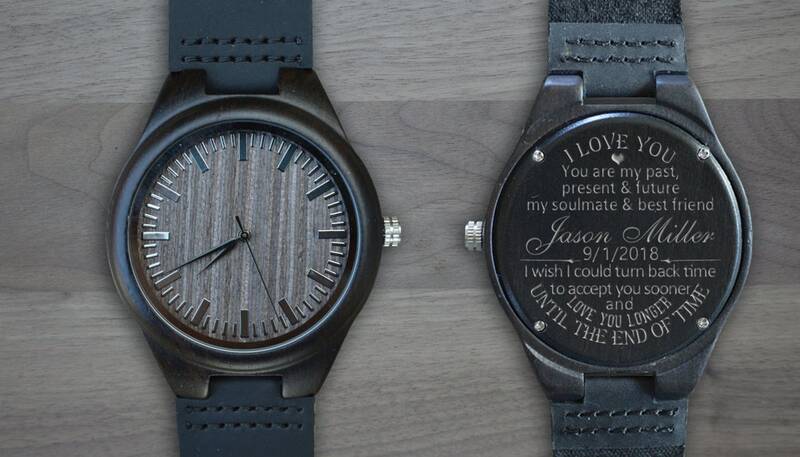 Getting creative with your gifts for your partner can really show how much you care. Below we have broken down some creative gift ideas that will be sure to have your partner feeling the love! Whether he’s a fancy executive who spends most of his days sealing deals in the office; a thrill seeker with an appetite for daring adventures; a trend-driven fashioner with a knack for home décor; or a big kid at heart, the options are endless when it comes to creative, meaningful gifts for the hunk in your life. These choices below are certain to satisfy even the most particular man. Does your man love to craft specialty cocktails for you and his friends? Or maybe he just fancies himself an old fashioned after a long days work? 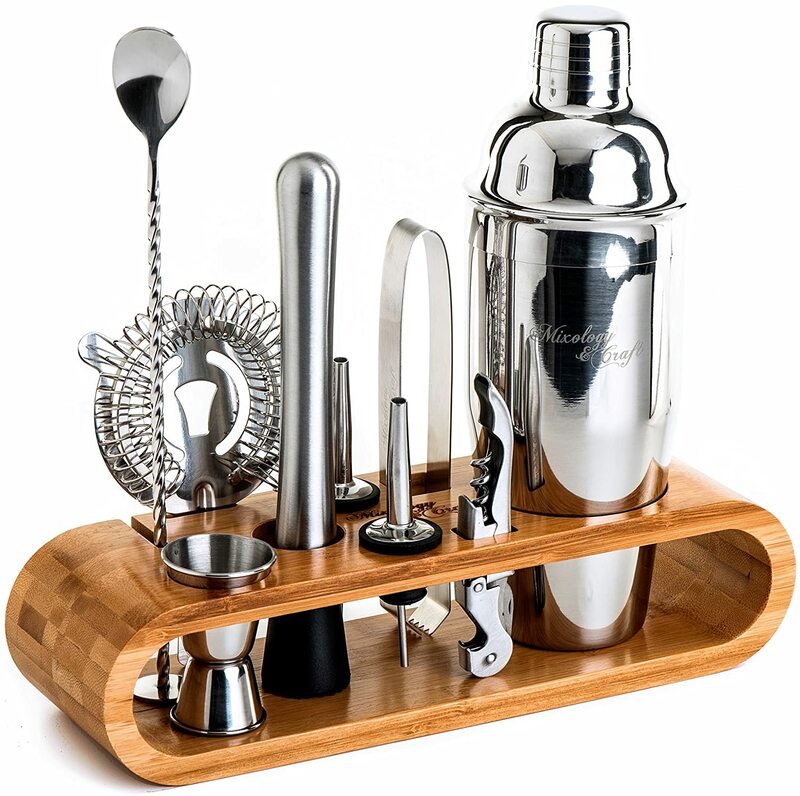 Whatever the case, gifting him with a fully-equipped mixology kit to add to (or create) a collection is ideal, so that the cocktails can keep coming. Pair this with a couple of his favorite liquors and you’ve got the perfect gift for a man with a knack for experimenting with cocktails. This is the perfect gift to give if you have multiple gift ideas that you’d like to compile into just one. Gather a list of all of his favorite things and add them to the basket. Some ideas could be to pair his favorite snacks with his favorite beer or scotch. Want to go the extra step to make it all the more special? Engrave a message on the basket or bottle to add that sentimental value to make this the perfect gift for him. Whether he works as a stock market guy or as an uber driver, he still needs to know the time at some point in the day. Gift your man a classic, sleek watch and engrave either his initials or a special message, that is between just the two of you. Not only will he be styling in his new fashionable accessory, but he will think of you every time he looks down for the time. Is he one to need a little extra boost to get out of bed in the morning, or one to make a quick coffee run with a double shot of espresso so he can stay awake before noon? 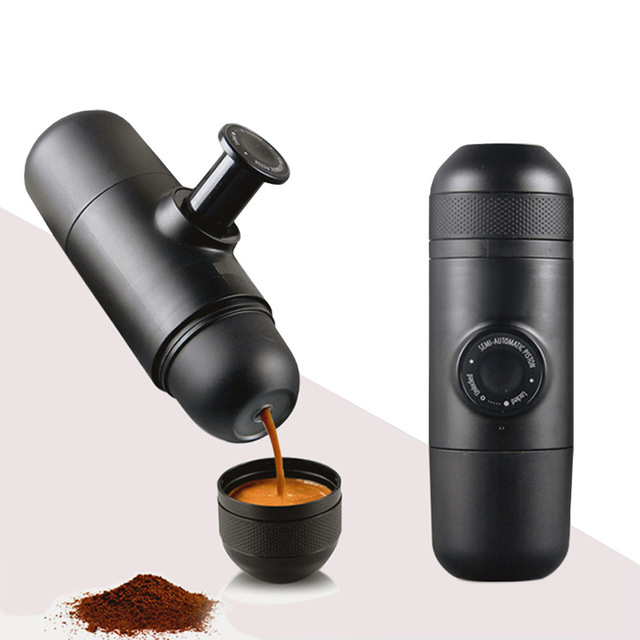 Then how about a travel mug that not only keeps his morning cup of joe warm, but actually brews a quality cup of espresso in route. This gift will not only provide him with a caffeine fix on demand, but will also save him some time and money by not frequently stopping at the coffee shop next door. If you and your future baby daddy like more practical gifts, do I have one for you! The Bambalino Elemento Diaper bag-pack is not only a super practical gift to get for the expectant father but also is useful as a regular backpack or weekender travel bag after lil Jimmy is all grown up. I know what you are saying, what diaper bag, because that camo not only hides the fact that is in fact a diaper backpack but also is a lot more manly thing some pink shoulder bag you borrowed form your wife. On the practical side of it; not only does it boast 13 pockets but also has a changing mat, insulated bottle holder, and built in stroller straps. This is not your regular cologne, it is specially formulated to have pheromones to turn your lady on. So if you and your guy are trying to put some pep in your step or make the finally push to make that baby, this is the gift for you. 8) Want Your Man Looking Good this Valentines Day? This may fall under the “odd ball” of the Valentines day gifts group, by hear me out. Some ladies out there have a mans that might enjoy his sneaker collection almost more then they enjoy her, or maybe they have been wearing that same shabby pair of shoes a bit too long and you want them to look a bit more dapper on your Valentines date. If either of these are the case, then the Pink Miracle shoe cleaner is the gift for you. This shoe cleaner has been trusted for 30 years to clean the ish out of some shoes, and it works on what ever kicks you want to throw at it, so its a versatile gift in multiple situations. Guys, lets not overthink this. Think about what your lady does in her downtime, or what she says she’s always wanted to do. Gifting her something you know she will like shows you’re thoughtful, not predictable. From personalized jewelry and sweet smelling fragrances to customized gifts, here are some picks that will make you a gift-giving hero in her eyes. 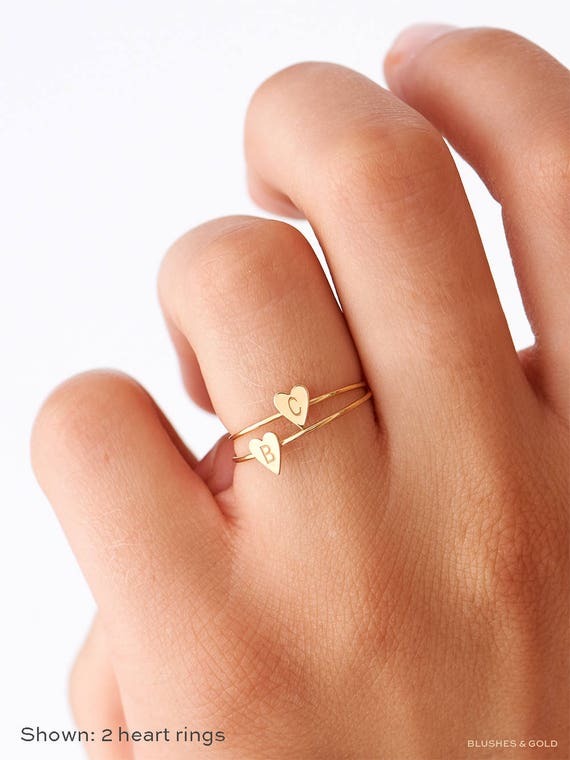 Let’s be honest, almost every woman loves to get jewelry. Whether it be a necklace, bracelet or that one very special ring. Depending on how long you have been with your partner, consider gifting her with a nice new sparkly accessory this Valentine’s Day. Make sure to visit different stores and sites to make sure you find the right piece for her. Do some searching on sites like Blue Nile, who make it easy for you to explore their site with the many different jewelry options they have to offer. You can even build your own diamond jewelry. Talk about a thoughtful gift! Women love a gift basket just as much as the next person. Whether you special order one or create it yourself, a basket of goodies is always a great idea. Recognize what her favorite things are and combine them together. Making it a themed basket could add that special touch and creativity that she will truly admire. Pop a romantic movie in with some of her favorite movie theater snacks and bottle of wine or case of beer and gift that to her. Your simple, yet thoughtful gift just turned into a romantic movie night at home! Gather a bottle (or two) of her favorite wine, paired with some decadent chocolates and cheeses and you have a recipe for a romantic wine and cheese night! Make sure to take her preferences into consideration when putting this idea together. Does she tend to favor white wine over red wines? Or maybe she doesn’t have a preference at all, giving you the option to mix and match! If this is the case, make sure to get her a plethora of options ranging from dry to semi-sweet. It is good to note that certain foods can enhance the flavors of wines and vise versa, so keep this in mind when putting this together. For example, a dry rosé pairs nicely with cheeses, whereas a full-bodied red, such as a Shiraz or Malbec pairs perfectly with dark chocolate. If you’re looking to buy a gift that is both personal and luxurious, you can’t go wrong with perfume. Even if your significant other already has their signature scent, chances are they will be elated to add another aroma to their collection. Due to the fact that the signature notes found in perfumes have such a large scope, having several different scents guarantees you’ll always have the perfect fragrance for any occasion. Valentine’s Day gifts don’t always have to be over the top or unique. The classic flowers and chocolates still captures hearts fellas! However, if you know she prefers caramels over the milk chocolate peanut clusters, make sure you keep this in mind. Implementing her likes and not overlooking her dislikes is major key to scoring brownie points! Be sure to incorporate a genuine, heartfelt message and you’ll be sure to capture her love. Regardless of the direction you wish to take with your gifts, the most important thing to keep in mind this Valentine’s Day is the meaning behind the holiday-your love. Honoring your love and appreciation for your partner is what truly matters and if that means you gift them with a bottle of booze or a trip to the Bahamas, what matters is that you celebrate the way you both feel is right for you. We hope you enjoyed this post, let us know if you tried out any of these gifts or if you have any awesome valentines day gift ideas for your significant other. For the rugged man with a fashionable side, consider a nice backpack. It will make the perfect home for his laptop and lunch while he ventures to work. It also makes a great place to stash his carry-on travel essentials when he’s on the go. Maybe he is an avid hiker, so a stylish bag would be perfect to store his hiking essentials and snacks next time he makes that big climb. Great post! Yes. Personalized jewelry is great idea. I bought my girl friend a name necklace last year. Amazing. She loved it. She’s my wife now. Hahah…Highly recommend it.